The 170 million young people in Europe have no memory of the world wars of the 20th century. In fact, the youth of Europe believe strongly that there won’t be violent conflict in their countries in the near future. The conflicts that led to the formation of the EU may have gone but new challenges have taken their place – migration, terrorism, inequality, the Fourth Industrial Revolution, and rising nationalism, to name but a few. Our global research shows that young people are confident they can make their world a better place. However, they feel disengaged from the political process. This is particularly true in Europe, the worst-performing region, where 43% of respondents said they disagreed or strongly disagreed with the notion that they could contribute to decision-making. The good news is that the young are very confident about their ability to shape a better future – 83% believe that they can solve global challenges. A recent Bertelsmann Foundation report found that 67% of European youth saw staying in the EU and working on its reform as the best option. At this important time for Europe, we certainly need to celebrate the achievements, but we must also look to the future and strengthen the voice of the youth – those who will inherit the world we live in. Democratic processes alone do not provide sufficient means with which young people can express their views. And there’s a lack of pan-European efforts to bring youth together to develop their views of what Europe should look like. We now have a great window of opportunity to create a better Europe for future generations, by future generations. 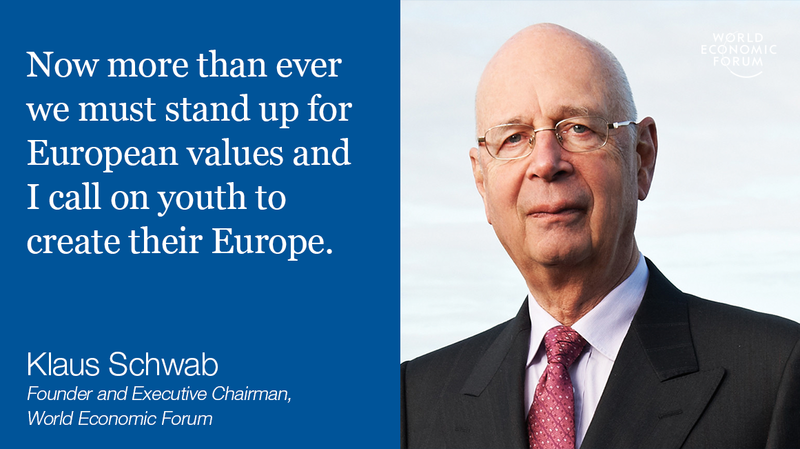 This is why we are launching a special platform focused on shaping a new concept for Europe. This initiative will bring together European youth to develop ideas for a better, stronger, more modern Europe. We will invite young people to discussions on our online platforms, in our Global Shapers Hubs and at a brainstorming event later this year, when we will also engage national policy-makers, disrupters, global businesses and thought leaders. Ideas on ‘a new narrative for Europe’ will then be presented during a major Europe programme at our Annual Meeting in Davos 2018. Join the discussion and, together, let’s build a new narrative for Europe!